Words by Kevin Doocey on May 27, 2009 . Sky Sports reported that Ashley is looking to sell following the relegation. Indeed Ashley’s bank account is shrinking by the day with Newcastle United and it’s best for both parties that he sells, a new start for Newcastle United and a financial break for Mike Ashley himself. This is great news for Anti-Ashley parties and I would be happy to see him go too. Although there is a element of sympathy towards Ashley and the amount of money he has invested with no return, he has inevitably sent Newcastle down to teh Coca Cola Championship. Imagine a new ownership, a new start. New regimes etc, could rekindle Newcastle’s great history again. Not this again. If it's true then get it done quick, if it's not then i hope the story goes away and we dont keep hearing about it all summer. This kind of uncertainty will not encourage players to come to us. Agreed, but it could be a good move should Ashley sell and new owners arrive.. 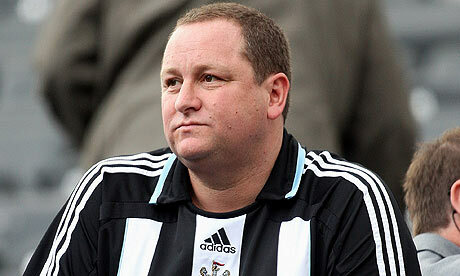 Wish new owners would buy this fkwit Ashley out....sick of seeing his fat mug.